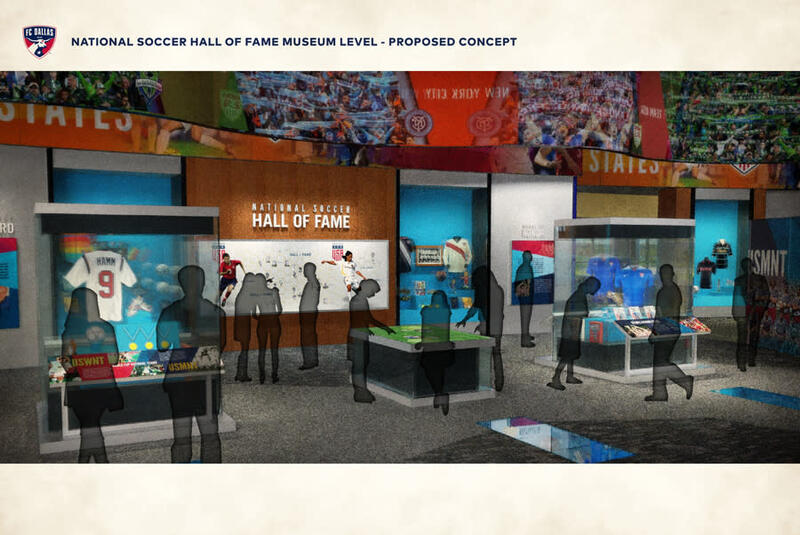 The National Soccer Hall of Fame is a list of firsts — the first physically constructed into an MLS soccer stadium and the first to integrate seating and clubs as part of a game-day experience. And the Hall of Fame is first in incorporating out-of-the-box elements to create a personal, interactive experience for each fan. Scheduled for full completion in 2018, the facility now under construction at Toyota Stadium will include an interactive museum, 3,000 premium seats on the field and a specialty retail space. The Lamar Hunt U.S. Open Cup Bar will overlook the stadium’s new glass-enclosed press area and new locker room exit tunnels. The premium National Hall of Fame Club, with 250 seats upstairs, sold out before the project was complete. 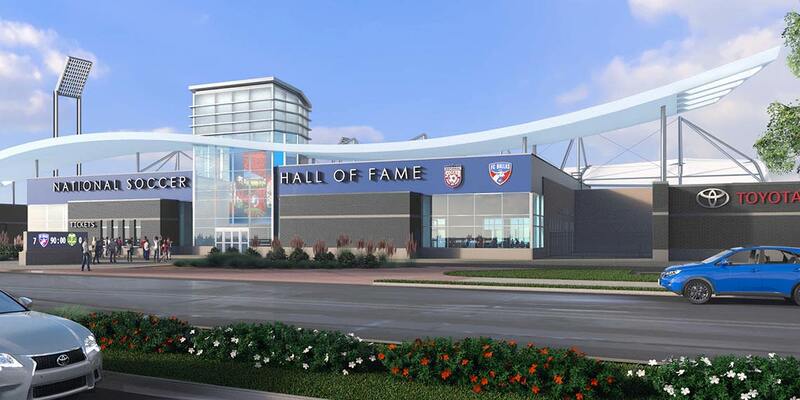 The Hall of Fame is part of a $40 million renovation of Toyota Stadium and is a public-private partnership among FC Dallas, the City of Frisco, the Frisco Independent School District and the U.S. Soccer Federation. Bringing the National Soccer Hall of Fame to Frisco was a natural choice, said Buchholz, primarily because of FC Dallas founder Lamar Hunt’s outsized role in breathing life into Major League Soccer.